Admittedly, I knew very little about Gallipoli (Gelibolu in Turkish). The United States played a negligible role in that particular theater during World War I, so our history doesn’t pay it much mind. Most of what I know about its significance comes from the popular Australian ballad, And the band played Waltzing Matilda. The song is an account of the memories of an old Australian man, who, as a youngster in 1915, had been recruited into the Australian and New Zealand Army Corps and sent to the Battle of Gallipoli. For “ten weary weeks,” he kept himself alive as “around [him] the corpses piled higher”. He recalls “that terrible day” … “in the hell that they called Suvla Bay [they] were butchered like lambs at the slaughter” … “in that mad world of blood, death and fire”. I have always been curious about the event, so when it looked like we would be close to Gallipoli, I jumped at the chance. The ancient city of Troy is also in the area, but the ruins are few and we heard there was not much to see other than what the landscape was like during the conflict. We had arranged the tour the day before with a very nice woman on the seashore of Canakkale, Turkey. My experience with tours has always been skeptical, though I have had some great experiences with The Freedoms Foundation at Valley Forge touring Revolutionary and Civil War battle sites on the East Coast. My fear is that I will be trapped on a bus with an unknowledgeable person telling me touristy things rather than sticking to historical accounts. My fears were quickly allayed when Hasan began our day with his take on history as “stories we tell each other” and reminded us that one has a choice in how to tell and hear historical stories. Throughout the trip, my respect for his knowledge grew. He knew tremendous amounts of information about both Turkish and ANZAC movements and he was always careful to remind us that each side of the conflict were people doing what they thought, and were told, was right. Before the tour began, Erika and I toured the small town of Eceabat. Along its boardwalk was an amazing little park that detailed aspects of the campaign. Unlike any monument I have ever seen before, this display reenacted a scene from the battle complete with statuary engaged in various aspects of war. 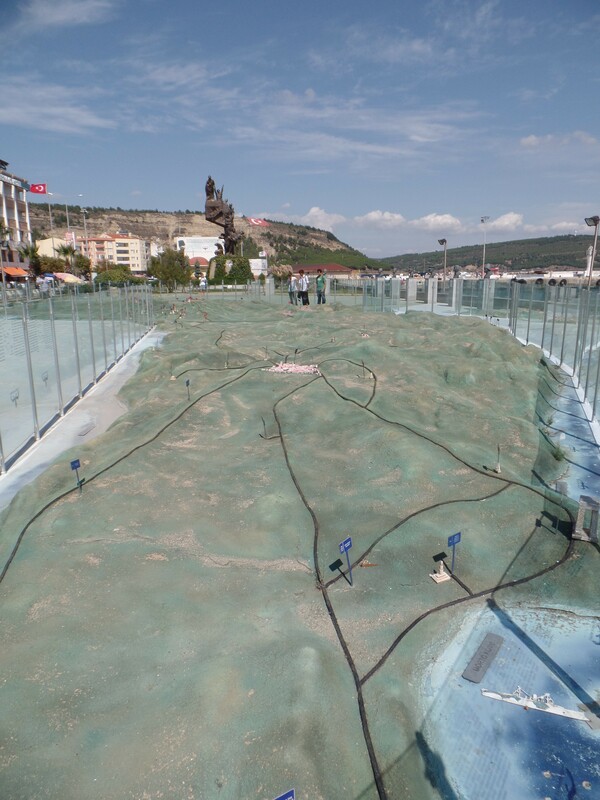 Adjacent to the statues was a topographical map showing key cities and engagements. It was neat to walk “around” the peninsula to see the different angles and military approaches. Every culture has its myths that it likes to tell itself. They provide a type of social cohesion. We have many, such as the Ride of Paul Revere that make for great stories, but that have reached a point of exaggeration rendering them ridiculous at times. 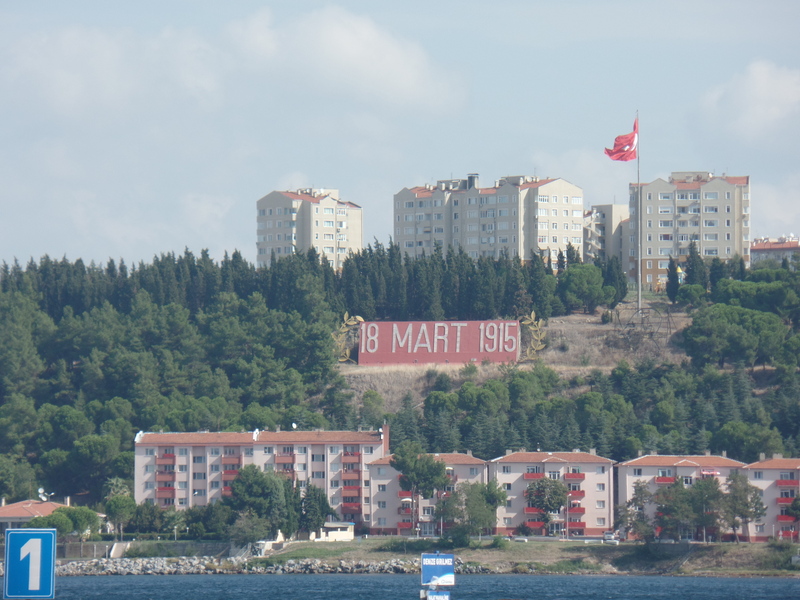 As the story goes, on March 18, 1915, British ships were entering the Dardanelles and threatening Istanbul. Canon shells, weighing about 215 kg (475 lbs. ), would be placed in the chamber by crane, but on this day the crane was broken. 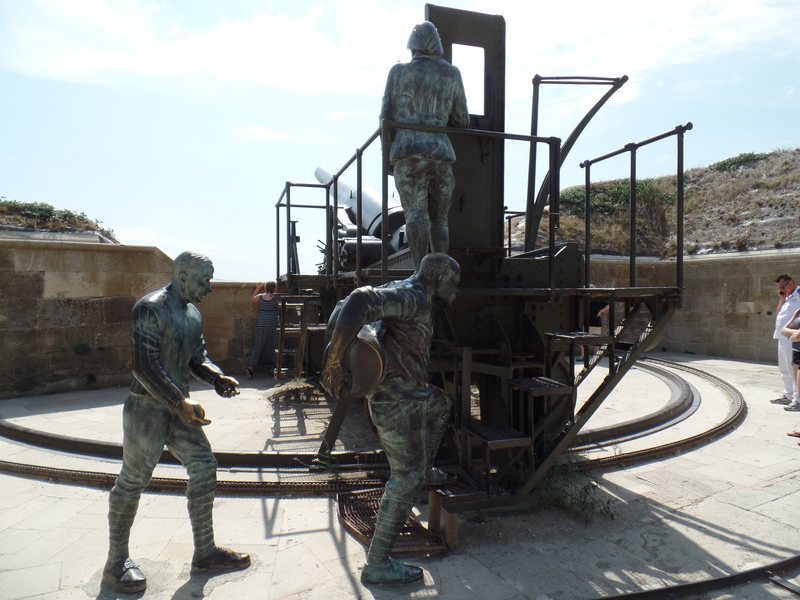 According to legend, Seyit Çabuk, one of the artillery men, then lifted a shell on his own, behind his back, and placed it in the chamber for it to be fired. Of course, that one shell was the one that ultimately deterred the British. Being the only non-Aussies in the tour provided us a unique perspective. 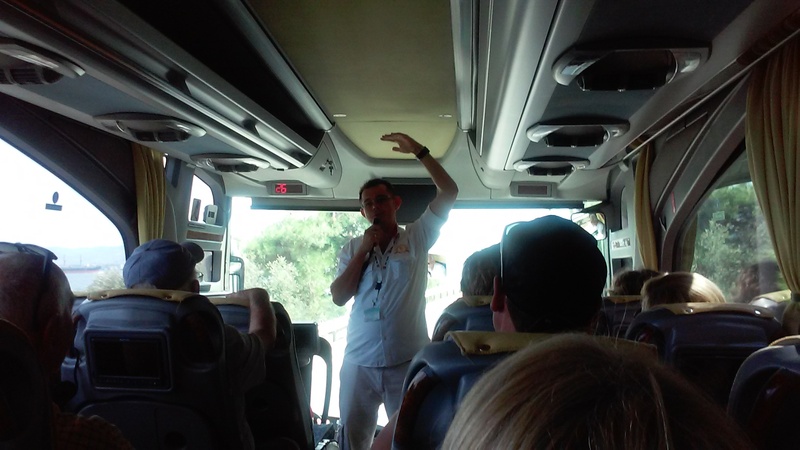 As the guide made references to names and dates, we would notice people, especially the older men, nod in agreement while we had no idea what he was talking about. We realized that this trip for Australians and New Zealanders is something like what Americans experience with Normandy or Gettysburg. I don’t know much of the history and most of what he explained went over my head, so below are some photo highlights.